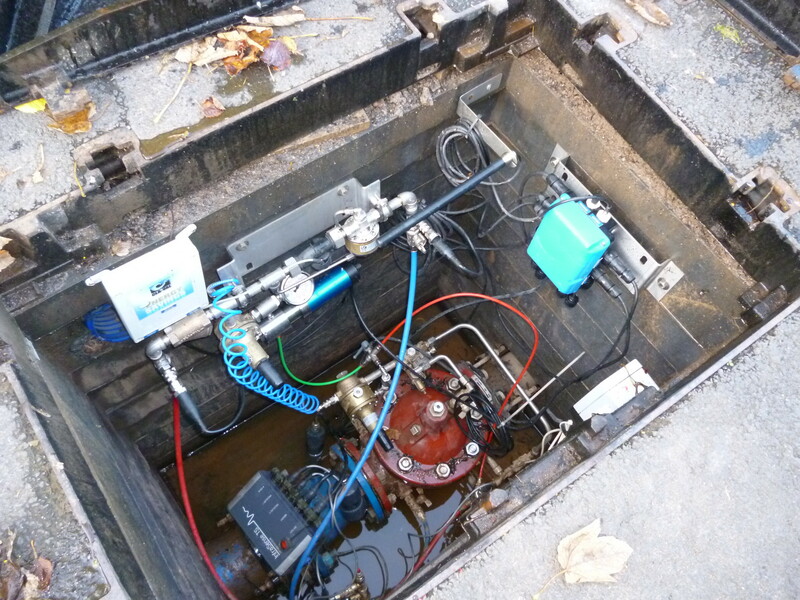 The Smart Water Networks Demonstrator (SWDN) which has been operational since 2013 is part of the Bristol Water (BW) distribution network. 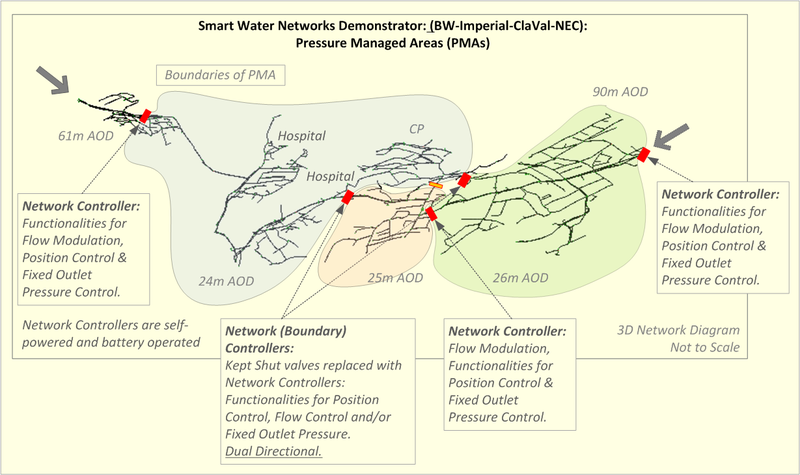 The SWDN has been designed and built to support industrial and academic research carried out between InfraSense Labs (Imperial College London), Bristol Water, Cla-Val and NEC, as well as providing improved pressure management and increased reliability of supply to an area with historic pressure management problems. 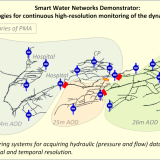 The experimental programme aims to develop, assess and demonstrate a novel operational method of dynamically reconfigurable DMAs (District Metering Areas/Pressure Managed Areas) for improving the reliability, redundancy, and resilience of water distribution systems. 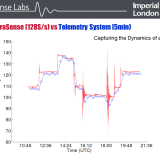 Dynamically changing the topology of a network is a concept pioneered and actively developed by InfraSense Labs; we refer to this operational method as DMA v2.0. 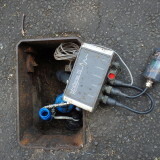 The SWDN includes 7,950 properties and 60km of mains. The hydraulic conditions are monitored with unprecedented spatial and temporal resolution including 20 high-frequency InfraSense units (sampling continuously at 128S/s, time synchronisation of 2ms) and 12 remote telemetry units, part of BW telemetry network. 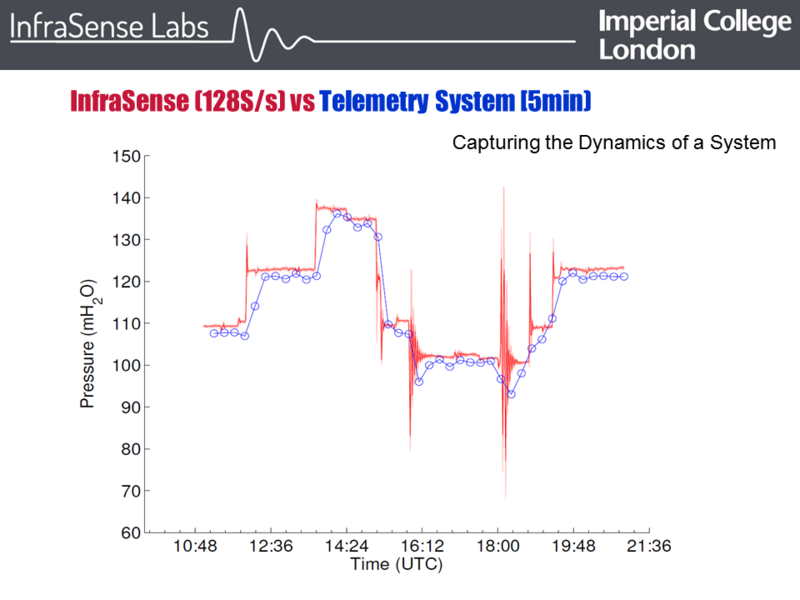 The acquired data is managed by the InfraSense Data Processor and interfaced with the InfraSense Hydraulic Solver for the near real time hydraulic modelling. Optimal control settings are then derived for the multi-feed pressure managed areas. 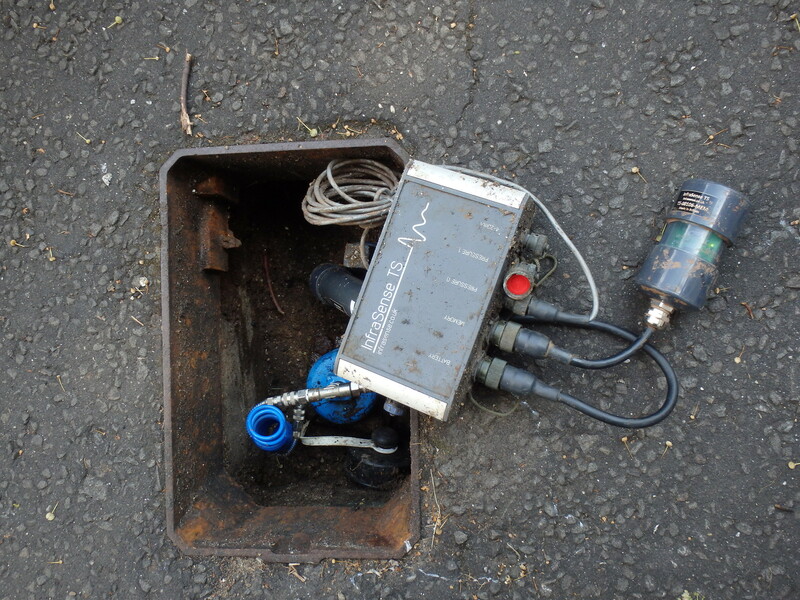 We are gathering over 25GB of hydraulic data per month with part of the data streamed in real time at 128S/s. 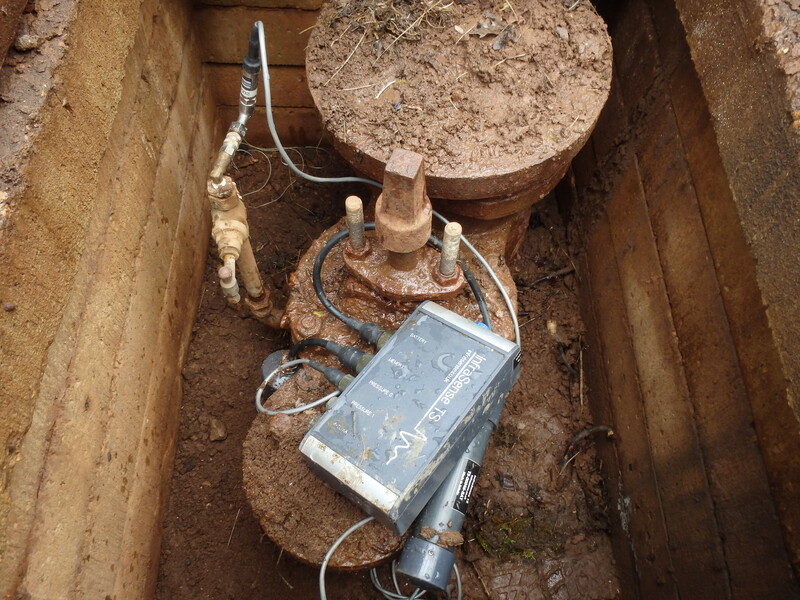 In comparison, the current state of art of sampling hydraulic processes at one Sample every 15 minutes generates orders of magnitude less data. Data from 100 DMAs over a period of 20 years does not exceed 1GB of data. Five multi-function network controllers developed in collaboration with Cla-Val have been installed to provide flow and pressure modulation, and position and flow control (dual-directional!). These are self-powered actuators harvesting energy from the pressure differential across a network controller. 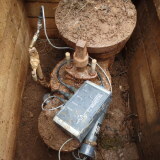 The harvested energy is used both for continuous high-resolution monitoring and advanced control. Further information is provided in Wright, Stoianov et. al. (2014). With the setup and operation of the SWND, we have long term access to a live system and data to support our research for the near real time modelling and adaptive control of large scale networks. 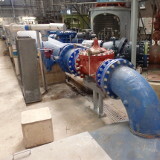 Driving innovation by implementing advanced and cutting edge control technologies in a live water supply system requires extreme skill, knowledge and confidence in delivering robust solutions while maintaining high-quality service to customers in a very unforgiving regulatory and operational environment. We have successfully managed the risk of occurrence of system failures and/or discoloration. 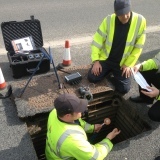 We could only achieve this as a result of a very productive collaboration with Bristol Water, Cla-Val and NEC; and also from the extensive experience we have gathered from previous experimental programmes. 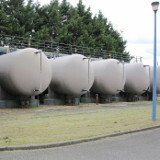 It is assumed that water supply systems operate under steady-state hydraulic conditions. However, our extensive experimental research has demonstrated that this assumption is frequently violated due to the intrinsically non-deterministic behaviour of consumers, planned or accidental operational changes, pressure management, and failures. 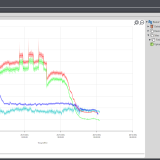 The problem is becoming more acute as water utilities are adopting aggressive pump optimization and adaptive pressure control. 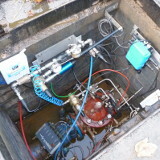 We have combined our expertise in hydraulic transients (pressure surges) and our advanced monitoring and data management technologies to carry out the most extensive investigation of the frequency of occurrence and magnitude of hydraulic transients and other hydraulic instabilities in water transmission and distribution systems. 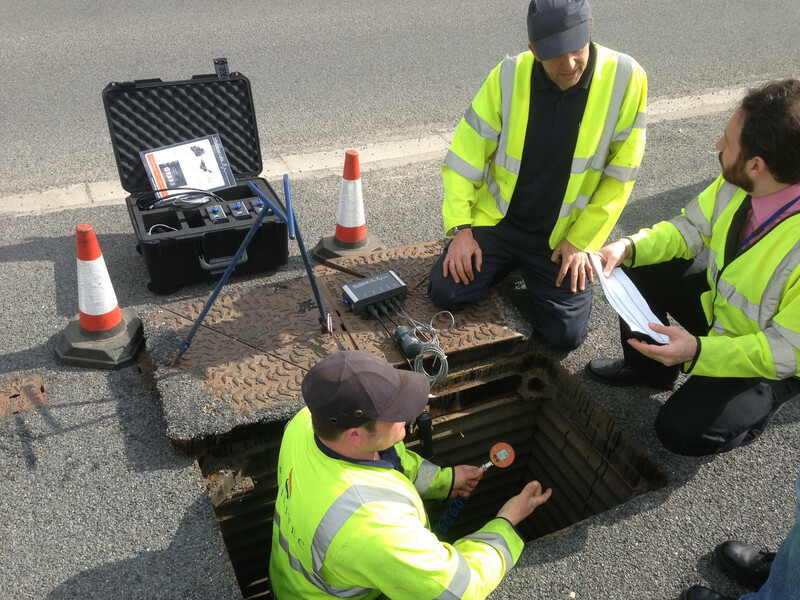 We have partnered with four UK water companies (Bristol Water, Severn Trent Water, Essex and Suffolk Water and Thames Water) to monitor the dynamic hydraulic conditions in water transmission and distribution systems, assess root causes and analyse their impact on assets deterioration and failures. 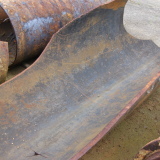 These studies are complemented with an extensive analysis of pipe failures. Experimental investigation of chlorine decay in water supply systems under unsteady hydraulic conditions. 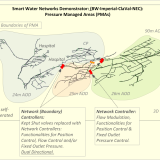 PipeNet is a system based on wireless sensor networks which detects, localizes, and quantifies leaks and bursts and other anomalies in water transmission and distribution networks. 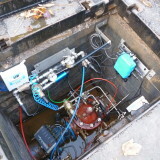 PipeNet was deployed in the City of Boston, Massachusetts, in 2004 to monitor hydraulic, vibro-acoustic and water quality variables in water supply networks and the level of water in sewer connectors. 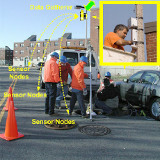 The project was in collaboration with Intel Research and the Boston Water and Sewer Commission; it presented unique concepts and technologies that were later followed by various projects related to Smart Cities such as the Center for Environmental Sensing and Modeling (CENSAM), the WINES EPSRC project in Smart Infrastructure (EP/D076838/1), and also commercial products (for example, the Zonescan Alpha by Gutermann). 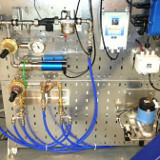 We have designed and built the Pipe Rig in the Hydrodynamics Lab at Imperial College London to facilitate the development of advanced sensing and control solutions for optimal pressure management and increased resilience in water distribution networks. The pipe rig includes two parallel pipes: one pipe (PVC) has a diameter of 200mm and the second pipe (Copper) has a diameter of 50mm. 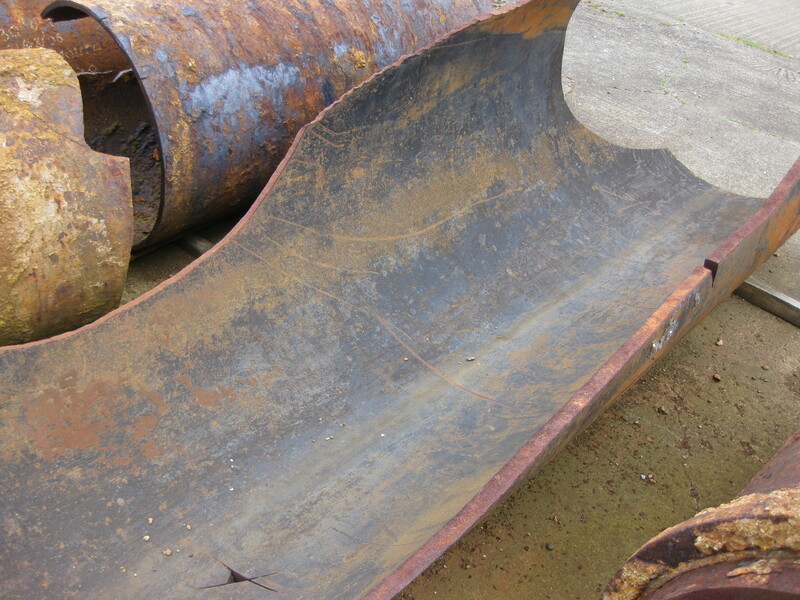 Both pipes have a length of 35m. 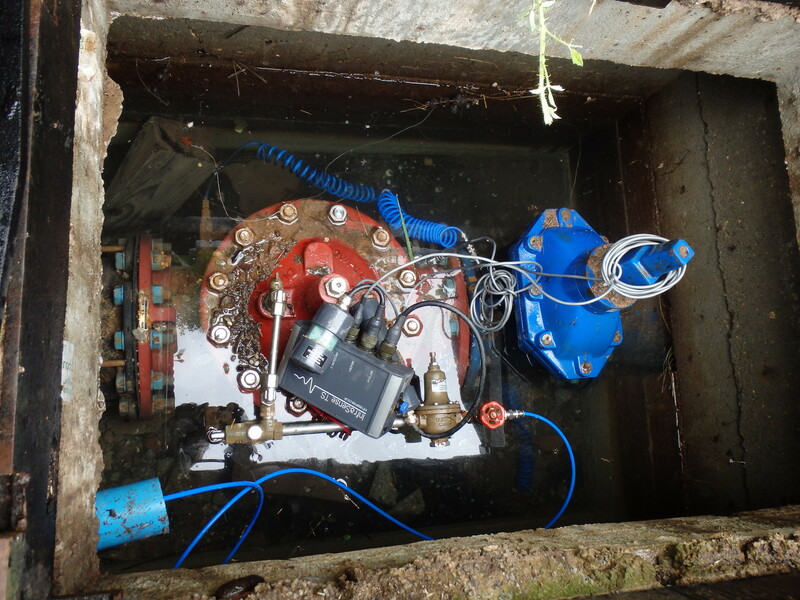 A variable speed booster pump (17kW) and a set of control valves allow us to replicate a wide range of hydraulic conditions that we capture in operational systems. The pipe rig has also been extensively used to evaluate the accuracy of various flow measurement technologies under steady and quasi unsteady state hydraulic conditions (electromagnetic flow meters, including full bore and spot velocity sensors; vortex flow meters; ultrasonic flow meters). 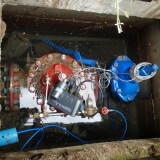 We have developed unique methods to evaluate the performance of flow measurement sensors under quasi-unsteady and unsteady state flow conditions.